North metro authorities are investigating an apparently unprovoked attack on a young man with a physical disability. The incident happened Saturday morning outside a Target store on West Broadway Avenue in Crystal, Minn., which is northwest of Minneapolis. Crystal police say they began looking into the incident after video of the attack was posted to Facebook. 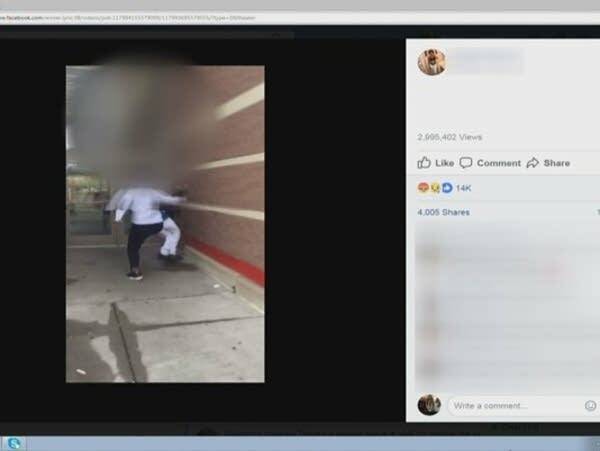 The video has been removed from the site, but an edited clip published by KARE 11 shows one of the suspects kicking the victim in his lower back and knocking him over. Deputy Chief Doug Leslin said in a statement the victim knows the suspects, and police are working with the victim and his family to pursue criminal charges.